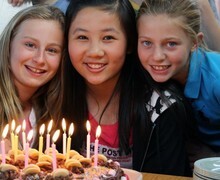 Bishop's Stortford College has welcomed students from around the world for many years. Our aim is to ensure that all our international students are well integrated and have a real sense of belonging. We have around 50 international students with us each year from a wide range of countries. The majority of these are in the Senior School which caters for 13-18 year olds. They represent between 10-12% of all Senior School pupils. We also have a number who join our Prep School, usually from the age of 10 or 11. Bishop's Stortford College is one of the top performing co-educational boarding schools in the UK. Our pupils, including those from overseas, reach excellent standards in public examinations and move on to a range of top universities, including Oxford and Cambridge. 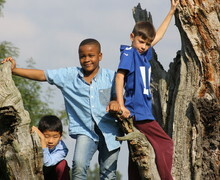 New students are helped to settle into the House and College by having a “shadow” or “buddy” who, together with the House Parents, is responsible for looking after them for the first few weeks. In addition to the welcoming support of the boarding house staff and fellow students, a special welcoming party, organised by the ESL Department, is held for our international students at the beginning of every academic year to help this settling in process. The ESL Department plays an important supportive role in the pastoral care of our international students, liaising with academic and boarding staff and parents to ensure the well being of our international students, not only in the first few weeks, but throughout their time at Bishop’s Stortford College. Our international students love being part of a typical English market town. Senior School students are encouraged to get involved in our Community Service programme, which brings them into contact with people who live and work in the town. As part of our broad curriculum and weekend trips, students will be exposed to a wide variety of cultural experiences and full advantage is taken of Bishop’s Stortford College’s close proximity to London and Cambridge with visits to art galleries, museums, the theatre etc. International students are integrated into all aspects of life at Bishop’s Stortford College and, once again, the ESL Department plays a key role by helping international students to explore issues of cultural interest and by encouraging them to take part in extra-curricular activities. There is a diverse blend of full boarders, weekly boarders, pupils who board a few nights a week (flexi-boarders) and day pupils. 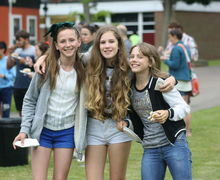 The College boarding houses create a natural environment for friendships to form between boarders and day pupils, and between those locally based, those from further afield and those from other countries. 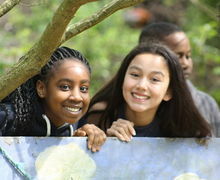 Through these friendships, full boarders enjoy the benefit of being able, with permission of parents or guardians, to visit or stay at weekends with the families of flexi-boarders or day pupils.